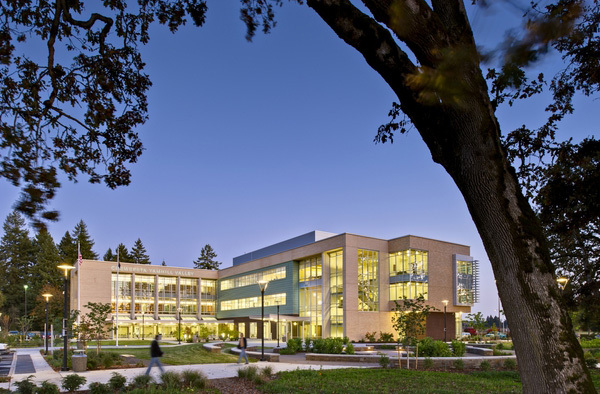 Design and construction of the first college building located on the new campus in McMinnville. The three-story, LEED silver equivalent building has 59,000 sq. ft. of floor area housing registration and administration offices, classrooms, science labs, faculty offices, library, food service, and support spaces. Carlson Veit teamed with Yost Grube Hall Architecture for design of the building and the long-range campus plan. The long-range plan will serve as a guide for future development of the campus and will determine the locations of future buildings, parking, and campus access.